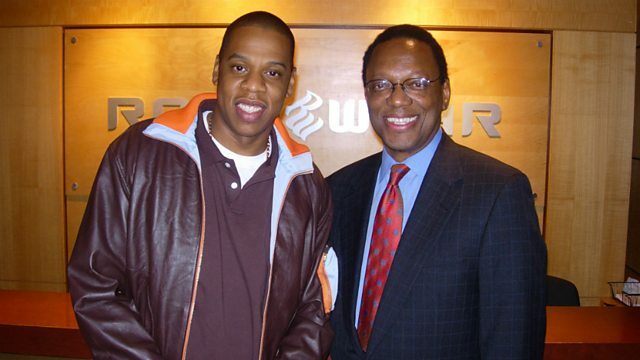 Finance guru Alvin Hall charts the rise rap music entrepreneurJay-Z - a man who has become a brand in his own right. Ten years ago rap superstar Jay-Z was struggling to get a record deal after being spurned by every major label - so he started his own. A decade on, with 20 million CD sales under his belt, he is now a major music industry player, and currently reigns as president of the legendary Def Jam records. He built on his success with lucrative sidelines in the fashion industry, a chain of bars, his own brand of vodka, and is also part-owner of a professional basketball team. Now some of America's biggest brands are hiring him in hope his business savvy can help them, too. Finance guru Alvin Hall meets Shawn Carter a.k.a Jay-Z for an in-depth discussion charting the birth of his business empire and rise from the notorious Marcy Projects in Brooklyn to C.E.O’s office, revealing the story of a man who has become a brand in his own right. This programme was originally broadcast on BBC Radio 4 on December 2, 2006. Watch the interview as Zane Lowe met Jay Z at the legendary Abbey Road Studios. Download a brand new episode each week & listen on demand to the full collection.